Remember the upcoming Age of Empires III: The Asian Dynasties? The Indian Civilization will have Elephants, three different types, as I can tell. “What about the campaign?” you may ask. The Indian campaign follows the events of the Sepoy Rebellion of 1857, in case you don’t remember what you’ve learned in history class, the rebellion involved the British East India Company. Well anyways, below is a little video introducing the Indian Civilization. You may also be interested in reading the GameSpot interview with Big Huge Games CEO Brian Reynolds discussing the Indian Civilization. It was obvious that Super Metroid is coming to the Virtual Console, but now we have official confirmation. Below is Nintendo’s sarcastic press release. Last week, Wii™ owners who have their systems connected to WiiConnect24™ were greeted by an ethereal blue glow alerting them Nintendo’s Month of Metroid had begun. The WiiWare™ section of the Wii Shop Channel now contains the Metroid Prime 3 Preview, allowing Wii owners to view exclusive videos for the anticipated Metroid® Prime 3: Corruption game launching Aug. 27. It’s a whole Month of Metroid, so fans should continue to check the Metroid Prime 3 Preview for updates. To view, Wii owners must first upgrade their Wii systems to Version 3 by clicking on Wii System Update in Wii System Settings. Metroid series fans also will find two classic games for download in the Virtual Console™ section of the Wii Shop Channel. The original Metroid® for the Nintendo Entertainment System® became available Aug. 13, while Super Metroid® for the Super NES® will be available Aug. 20. 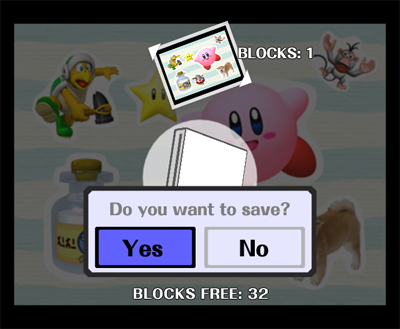 Just use Wii Points™ to download the games. Metroid and Super Metroid are rated E for Everyone. Metroid Prime 3: Corruption features amazing first-person controls, and takes advantage of the intuitive, motion-sensitive Wii Remote™ and Nunchuk™ controllers. This incomparable installment concludes the trilogy’s storyline while introducing new puzzles, bigger adventures and more intense battles. Metroid Prime 3: Corruption is rated T for Teen. 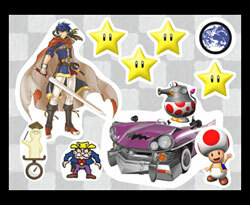 For more information about the Month of Metroid, please visit www.Metroid.com. 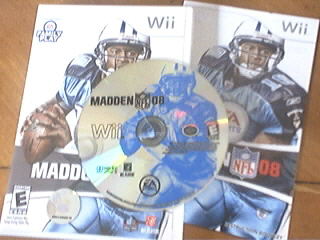 Not really anything big today, I went the store a picked up Madden NFL ’08. I also reserved Guitar Hero III with controller, and NiGHTS: Journey of Dreams. I’ve played Zoo Tycoon on both the DS and the Pc.I found them both moderately entertaining. Today THQ announced they are going to release a sequal to the Nintendo DS Version. AGOURA HILLS, Calif.–(BUSINESS WIRE)–Aug. 15, 2007–THQ Inc. (NASDAQ:THQI) today announced Zoo Tycoon(R) 2 DS, based on the game published by Microsoft Game Studios and one of the most popular Windows PC-based life simulation franchises ever, is scheduled to make the brand’s second appearance on the Nintendo DS(TM) in early 2008. Developed by Altron, Zoo Tycoon 2 DS includes improved gameplay and new features that will captivate fans of the life simulation genre, as well as animal lovers who have long dreamed of running their own zoo. THQ’s original Zoo Tycoon DS game has become one of the top selling DS titles, having sold-in more than half a million units in the U.S., according to The NPD Group, since its initial launch. In Zoo Tycoon 2 DS, players will create the zoo of their dreams while collecting and caring for their favorite animals from every continent. The game features three game modes including Zoo Designer Mode, Zoo Director Mode and all new Zookeeper Mode which gives players the ability to view and care for three-dimensional versions of animals. Zoo Tycoon 2 DS also features new animals and environments, as well as complete use of the touch screen and DS Stylus(TM) for all zoo activities, ranging from zoo construction to purchasing animals. 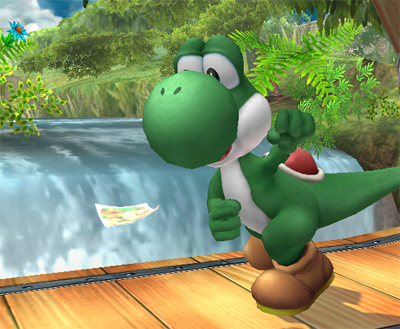 Players can also exchange zoo data with friends via multicard play and compete to see who can build the best zoo. 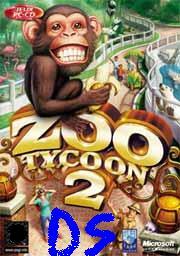 For more information about Zoo Tycoon 2 DS and the rest of THQ’s line-up of games, please visit www.thq.com. The NPD Group is the leading provider of reliable and comprehensive consumer and retail information for a wide range of industries. Today, more than 1,600 manufacturers, retailers, and service companies rely on NPD to help them drive critical business decisions at the global, national, and local market levels. NPD helps our clients to identify new business opportunities and guide product development, marketing, sales, merchandising, and other functions. THQ Inc. (NASDAQ:THQI) is a leading worldwide developer and publisher of interactive entertainment software. The company develops its products for all popular game systems, personal computers and wireless devices. Headquartered in Los Angeles County, California, THQ sells product through its global network of offices located throughout North America, Europe and Asia Pacific. More information about THQ and its products may be found at www.thq.com and www.thqwireless.com. THQ, THQ Wireless and their respective logos are trademarks and/or registered trademarks of THQ Inc.
Nintendo and Nintendo DS are trademarks of Nintendo. Microsoft and Zoo Tycoon are trademarks of the Microsoft group of companies. The statements contained in this press release that are not historical facts may be “forward-looking statements” within the meaning of the Private Securities Litigation Reform Act of 1995. These forward-looking statements are based on current expectations, estimates and projections about the business of THQ Inc. and its subsidiaries (collectively referred to as “THQ”), including, but not limited to, expectations and projections related to the Zoo Tycoon 2 video game, and are based upon management’s current beliefs and certain assumptions made by management. Such forward-looking statements are subject to risks and uncertainties that could cause actual results to differ materially from those expressed or implied by such forward-looking statements, including, but not limited to, business, competitive, economic, legal, political and technological factors affecting our industry, operations, markets, products or pricing. Readers should carefully review the risk factors and the information that could materially affect THQ’s financial results, described in other documents that THQ files from time to time with the Securities and Exchange Commission, including its Quarterly Reports on Form 10-Q and Annual Report on Form 10-K for the fiscal period ended March 31, 2007, and particularly the discussion of risk factors set forth therein. Unless otherwise required by law, THQ disclaims any obligation to update its view on any such risks or uncertainties or to revise or publicly release the results of any revision to these forward-looking statements. Readers are cautioned not to place undue reliance on these forward-looking statements, which speak only as of the date of this press release. 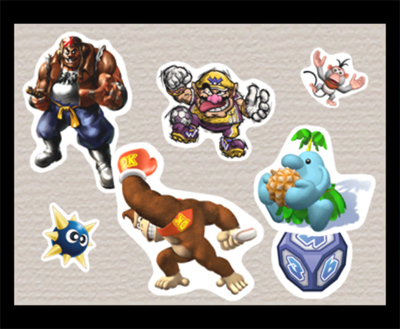 That’s right, stickers. 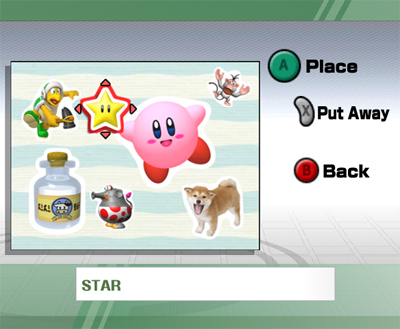 It appears that stickers in Brawl are going to replace the trophies of Super Smash Bros. Melee. 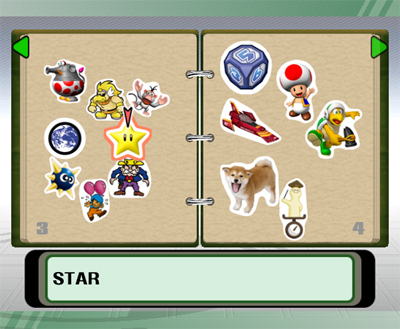 As you collect the stickers, they are put in your sticker album.